Jefferson Starship continues to tour and perform its classic hits from 1974 to 1984, traveling to 20 countries in the last three years. Jefferson Starship is comprised of original members David Freiberg (bottom left) and Donny Baldwin (top left), as well as Jude Gold (top middle), Chris Smith (top right) and Cathy Richardson (bottom right). 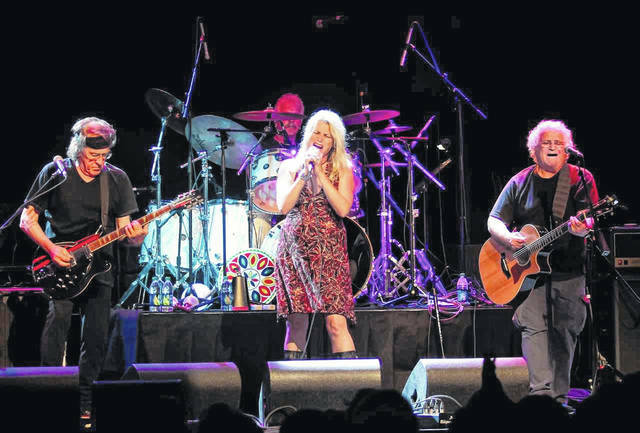 VAN WERT — Rock fans will be able to hear classics “Somebody to Love” and “White Rabbit” as Jefferson Starship takes the stage at the Niswonger Performing Arts Center. 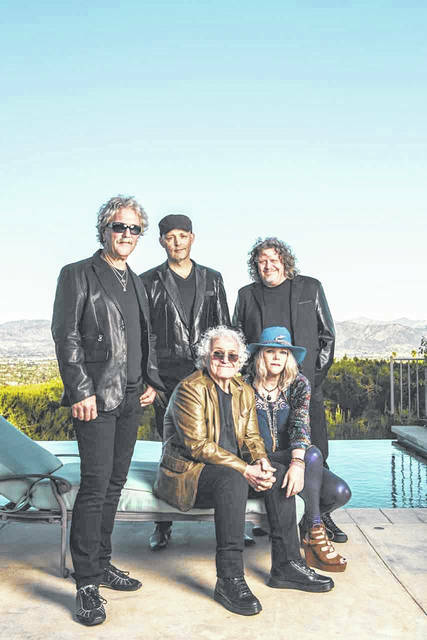 Today’s Jefferson Starship, which includes original members singer David Freiberg and drummer Donny Baldwin, invites its audience through a trip back in time to relive its eight gold and platinum albums and 20 hit singles from 1974 to 1984. The band also includes long-time members Chris Smith on keyboards and keyboard bass, Jude Gold on guitar and Cathy Richardson, who was hand selected by Jefferson Airplane’s Grace Slick. Richardson said she grew up a Jefferson Starship fan and still has the albums and T-shirts from the concerts she went to. “Never in my dreams did I think I would be in the band, it’s still crazy to me,” she said. “When you grow up loving music, it’s stitched into your soul. There’s this karmic thing that has brought us all together at this time. The band has also been working on new music, and even collaborating with Slick, that will be added into each show.